Here's how such a compact would work. States joining the compact would appoint a group to come up with a suitable test for gerrymandering. They are allowed to make that choice, it is their right as states. The group would review all districts drawn outside the compact, and judge how many were gerrymandered Republican and how many were gerrymandered Democrat. It would then be authorized to draw districts in the compact to countermand that. For every district meeting the test for being gerrymandered one way, they would create a counter-district inside the compact the other way. The remaining districts would be drawn by some agreed upon non-partisan system. The internal state-house districts would be drawn in a non-partisan way, of course. In theory, this would make it somewhat pointless to gerrymander, as long as the compact controlled more districts than the gerrymandering states. Note that since not all non-compact states do nasty gerrymandering, this could be possible. The biggest issue is that districts are held by people, not just parties, and parties have factions and personalities. The Republicans of North Carolina will still want to protect their personal seats even if it costs the party seats in the house. After all, they are real people, and the folks who never won a brand-new district have no power. The Tea Party might be happy to protect their own seats at the cost of seats for ones they call RINOs. One counter would be to say that if the Republicans gerrymander N extra seats, the compact gives N+1 or 1.1*N to the Democrats until they fix it. Another issue is that those "sacrificial" districts in the compact won't be very happy. If you live in a Republican dominated state or region, you might not like having your district drawn to give you a Democratic house member, or vice versa, especially if the balance of power shifts. It might take a great deal of cleverness to draw a mix of fair and sacrificial districts that upsets the fewest people. It's possible though, for the states in the compact to go much further. They could create non-geographic districts. In those non-geographic districts, the voters could be all of one party. Thus N districts consist of all the registered Republicans and M of all the registered democrats. Other parties would be put into the non-partisan districts. In these areas, all registered GOP would be assured a GOP congress member -- and the primary would be the real race, as is often the case in this situation. While there would no longer be a rep specifically for "this zip code" there is no big loss in that, I think, in the modern connected world. Ideally, once put in place, this system fixes the problem. The compact would be self-disolving, written so that as soon as the other states give up their gerrymandering, and/or join the compact, the compact dismantles, leaving a set of states who allocate districts in some reasonable and non-partisan way (as defined by the rules of the compact.) If the compact goes so far as to follow the N+1 rule or an even stronger one, there is a strong incentive for the non-compact states to give up their cheatin' ways. Today, the GOP is winning the gerrymandering battle. That means that Republican states might be much less likely to join the compact. The compact could still work with only Democratic states in it, but that in turn seems partisan and might push the other side to fight even harder to defend itself. That's why ballot propositions come in. A Republican state or moderate state might well be willing to join the compact through a ballot proposition, in the interest of fairness. In addition, the compact could be written so that if the Republicans are up by 22 states, the 22 counter-states made Democrat would first be done in Democratic majority states, and the GOP majority states would only come into play if the count got too high -- or swung the other way. California, for example, holds a lot of power. California might, on its own say, "If, in the rest of the nation, Republicans are up 22 seats due to gerrymandering, California will allocate its 55 members of congress (currently 39 to 14) on a winner takes all statewide vote." If another 8 votes could be found in another state, it would be enough. Of course, this would be challenged for violating other principles -- on its own it is even worse than gerrymandering -- but the court challenge would be an interesting one when the cause is considered. Rules like the vote efficiency rule currently under discussion could have an interesting result. 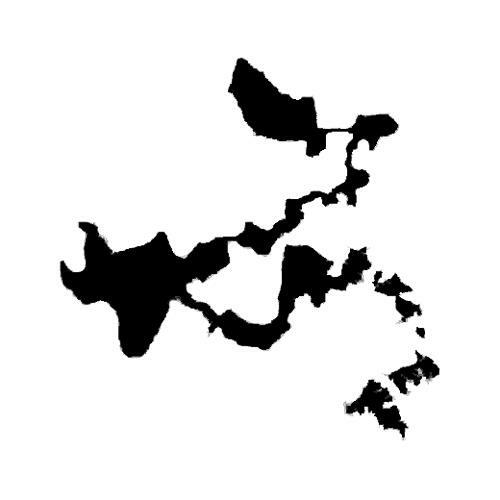 If voters knew this compact existed and was looking at popular vote totals, then suddenly votes would become meaningful even in safe, gerrymandered districts. This means voters would vote more closely to their real intentions, and many voters who today stay home because they know their vote can't make a difference might come to the polls, knowing their vote counts for something. This in turn would give the compact more accurate data from which to make its measurements, which must be non-partisan and objective as much as is possible. It is also worth noting there are different kinds of gerrymandering. One is designing districts so they are dominated by your party. There is also the inverse -- trying to concentrate large numbers outside your party in one district. In this case, you are causing other districts to be dominated by your party, but it's not as visibly obvious. Another example is the sort found in Austin, TX. There, they took the city and the surrounding rural districts and split it up into 6 wedges of sorts, each wedge containing 1/6th of the (Democrat supporting) urban area and enough rural area to tilt the total district Republican. Thus left-leaning Austin has 5 of its 6 congress members from the GOP, but the districts are roughly concave, if stretched. Personally, I'd like the Supreme Court to come up with some general rules that all redistricting must comply with, for example: If one could put a rubber band around the district boundaries, no more than 10% of the land area within the rubber band can be in another district. This is the problem. It's easy to write a rule. If you are congress or authors of an amendment, you can write a rule like this no problem. Courts try not to write rules. The question is "Why this rule?" "Why 10%?" They have to derive that from the existing rules (such as equal protection clause and various federal voting rules.) They don't get to make up a new one just because it sounds good. This is so hard to do that we don't have a rule. Even though the court feels that clearly the current districts are unfair and disenfranchise people, that is not enough. They have to say what would not do that, and base it on the other rules. It has to be an objective test, because otherwise you would have states draw lines, then somebody would sue and say "this line is not fair" and then it would go to the court and by the time the court agreed it was fair or not an election would have been done and you would just iterate the process. But how do you draw a hard and objective rule out of the constitution. It can't say that districts aren't unfair because geographic districts are unfair. If you live in San Francisco county, you are getting Nancy Pelosi, no matter how reasonably you draw the district. In other districts there is more of a race. Even my convexity rule and simpler "Divide it up into rectangles of equal population" still result in safe districts. This post is one in a continuing series which demonstrates how absurd "democracy" without proportional representation is. Why doctor the systems when you can fix the problem? Currently federal rules require districts, one rep per voter. That is not in the constitution. You have to convince the congress to undo it, or that it's unconstitutional. It's not impossible, just hard. Harder while the gerrymandering works so well. They don't want to sign their own suicide notes. - Anybody who wants to become a representative puts their name on a candidates' list, which is made available to the public. Let's say, via a website run by the elections commission for the state. - Because we're talking the US here, this is done on a state-by-state basis, per the US Constitution. Each state has x congressional representative positions to fill, and y registered voters. Presumably something is done at the Federal level to make the ratio x/y roughly equal between the states. - To vote, individual voters pick who they want as their representative. Let's say this is done by some secure means, over the internet. - Each candidate starts accumulating votes when the voting opens. Whenever any particular candidate accumulates y/x votes, they are elected, and may not accumulate any more votes. The voting website won't make them available as a choice for voters from that point forward. - At any point *before* a candidate is elected, each voter may change their vote from their earlier selection to a new one. They may do this as many times as they like (although maybe introduce a delay between allowable changes, say a day, to keep people from jerking the voting system around for fun or from malice). - Voting continues until x representatives have been chosen, even if that takes days (see below). This retains the idea that each voter has a single representative. Perhaps make it so that voters can disclose who they voted for, if they want to, but don't have to. Thus elected representatives can know who their supporters are, so long as their supporters want that known (e.g., to ask favours from the candidate once in office). Political parties can still form, and fulfill their traditional role of providing a banner under which like-minded voters and candidates can find each other, to push for a given ideology, or platform of policies, or what have you. People within a given geographical area can still support a local candidate --- everyone in your small town can elect the favorite local guy. Although if he has more than y/x supporters, they'll have to spend their vote on someone else, if they don't vote quickly enough. I'm sure that favorite local guy will often steer his excess supporters to someone else who is running, who he thinks well of, and maybe the excess supporters will take his advice --- a bit like what you see at political conventions, but on a micro-scale. In this system, individuals who can drum up enough votes across the entire state (instead of just a local area) also have a chance to get elected, without party support. Maybe a popular writer, or performer, or someone else who develops a following outside the political arena, say. E.g., if there was a strong proponent for space exploration and development, I'd likely vote for them (all else being equal), to try to get a voice favouring that into Congress. Everyone else would get to pick their favourite candidate based on their favourite issue(s). Maybe lots of Catholic representatives. Maybe several who run on a platform of rights for cats, voted for by cat-lovers. I suspect that quite a few popular candidates would get elected pretty quickly under this system, maybe within minutes --- at least, if they're any good at campaigning, and getting the message out in advance of the election. The internet makes this a lot easier than it used to be. But, a significant fraction of the initial vote would also likely be split between a very large number of candidates, all of whom would stall at well below the number of votes required to be elected. So then there'd be a period something like an extended run-off election, in which voters have to decide whether to leave their vote parked on someone who has no chance of winning (because he's way too low in the standings), versus moving their vote to someone they don't like quite as well, but can tolerate (who is near the election threshold, so your vote can make a real difference). What to do if, even after a reasonable length of time, there's still a significant fraction of the vote stuck in limbo? Maybe because people don't want to engage with the process so much, maybe because they're stubborn and want to stick with a loser candidate "to make a point", maybe because they hope eventually the tide will turn for their candidate, ...? One option: after some predetermined length of time, fill the remaining seats with the top-ranked-but-not-yet-elected candidates. That's not perfect, but is probably about as democratic as many races in countries that have multi-party systems --- at least to *some* extent the people will have spoken, and favoured them over the others who don't get elected. Some people's votes will be "wasted" as a result, but partly due to their unwillingness to come to a consensus with enough of their fellow voters. Yes, this is one of several proposals for proportional voting systems. Not prohibited by the constitution, but the tough part is getting congress to agree. Of course they should have no power over how they are elected, but they do. This does involve revealing partial results in an election while voting is going on, which is a kettle of worms. The question is whether this sort of information can be acted upon. I think it could be -- "Hey, the evil other party just got 3 seats, it's really important everybody on our side get out and vote now!"